This is Chapter-2.2 of Oracle SOA 12c Step by Step Installation Series. Before this chapter you need to read Chapter-1 and Chapter-2 of the series. 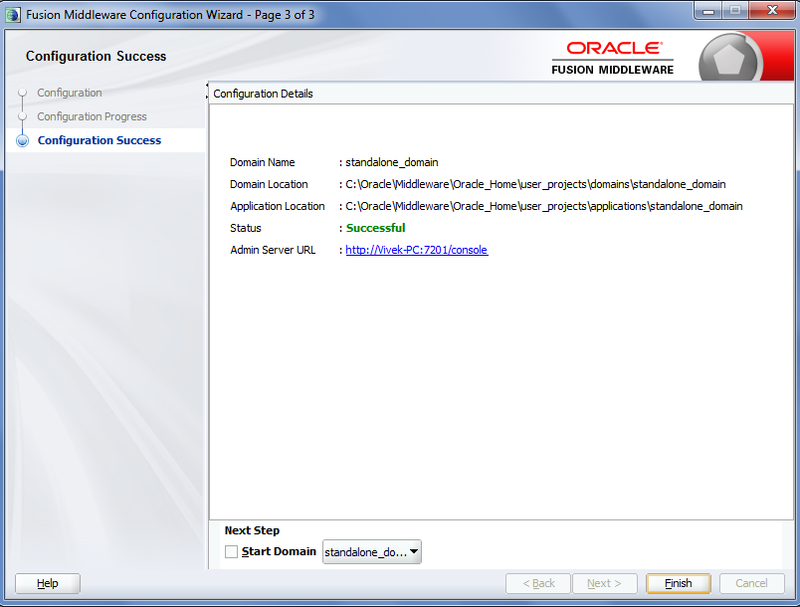 In Chapter-2.1 , we saw how to create default domain for Integrated weblogic server which use Java DB. We can also create standalone domain which use Java DB. In case of standalone domain server and domain run independently of JDeveloper. Benefits of standalone domain over default domain is, This will you save you startup time if you plan on developing an application in JDeveloper over a series of separate sessions. This will save you even more time if you plan to develop applications in the Oracle Service Bus browser-based console and never plan to launch JDeveloper. In this post, we see how to create standalone domain. 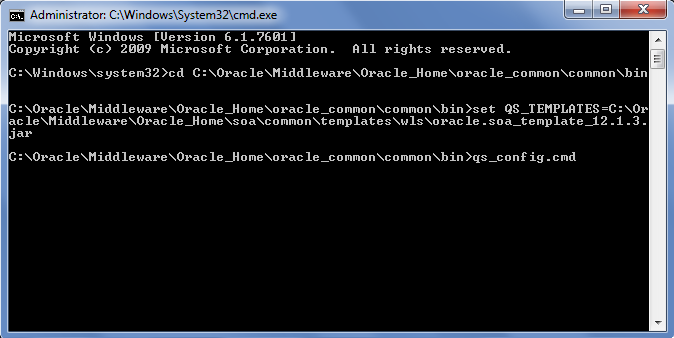 Install Oracle SOA 12c. 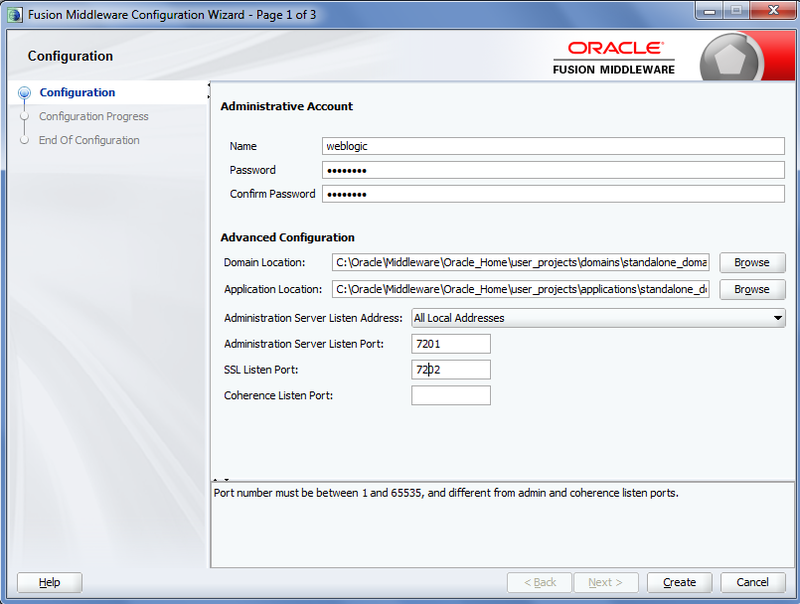 Read Chapter-1 for Oracle SOA 12c installation. Open the command prompt and run below commands to run the domain wizard. 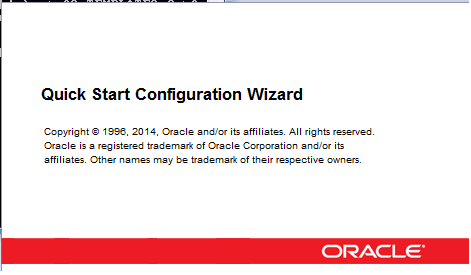 This will launch the configuration wizard. Enter password and change server port if you want to. How to install it in Linux environment? I don't have Linux environment so don't have that installation steps. I am facing the Standalone Domain Creation failed in the second step.